The dry port of Castiglione della Pescaia is an inland intermodal terminal directly connected to the Tyrrhenian Sea via a canal. 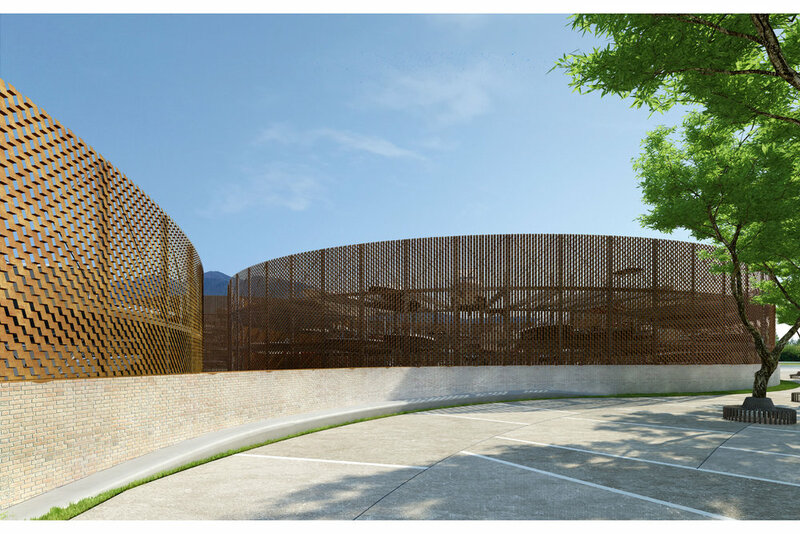 The project has not been limited to the boat storage design but aimed to regenerate the whole 10,000 sqm plot, comprising an all year round boat storage area, a dock bay, a public square, a club for sailing enthusiasts and shops. The idea was to create a circular dock bay where all the other facilities gravitates around. 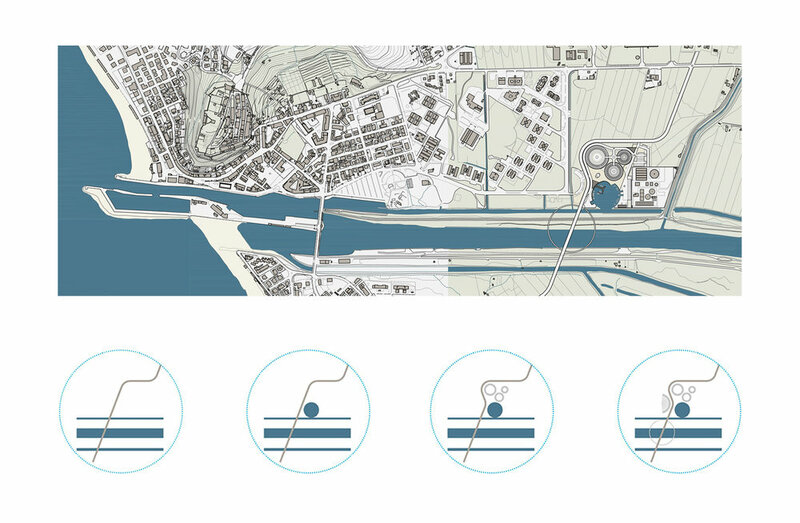 The composition of circles, inspired by the ancestral human settlements in the area, integrates the transport infrastructures to the architectural design, separating the cars and trucks routes from the central, pedestrian space on the bay. The boat storage consists in three cylindrical precincts with an overall capacity of 480 boats. The copper sheet cladding is designed in order not to hide the boats inside but at the same time create an intense vibration of light and shadows.